It’s important to photograph these images as soon as they’re posted. The colors do fade very quickly, and every once in a while, the kids deface things. This one not only got sun-bleached in a week or two, but also got scribbled on by someone who clearly was too young to hold a magic marker. It’s still very beautiful to me. These letters were all cut out freehand. More freehand letters, plus I cut every one of those leaves out by hand. Sort of wish I had planned the layout a little better, but it’s still fairly striking. 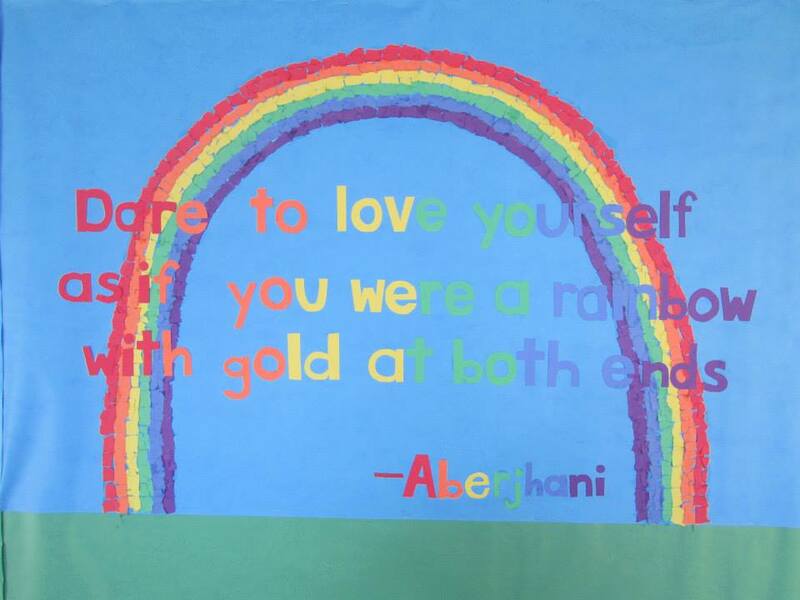 And here is my last bulletin board of the 2013-2014 school year. Anyone who lives in southern Arizona has seen the sky like this: during the monsoon, if it rains in the afternoon, sometimes it clearly slightly afterward. The clouds are all lined up like this, with sun tumbling through the breaks and spilling down over the mountains, which glow gold, red, and purple, depending on the time of day. This sampling of a dozen images represents most of my favorite, and maybe about half of the designs I’ve done since 2009, when I first started. 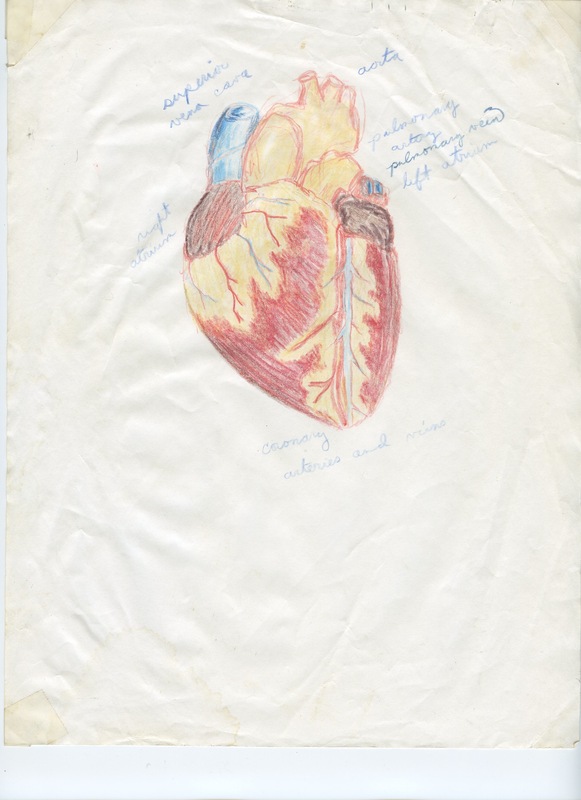 Looking back, it’s not an insubstantial body of work! 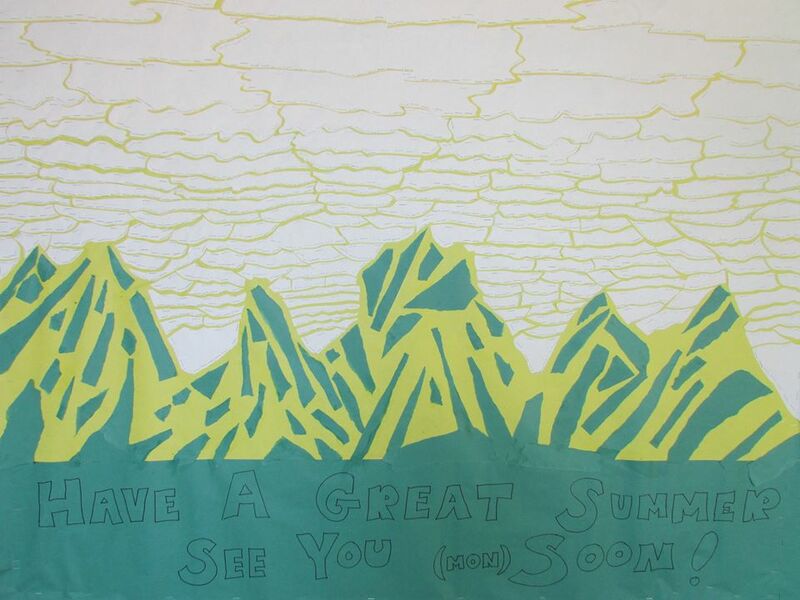 This entry was posted in Bulletin Boards and tagged art, clouds, leaf, leaves, monsoon, mountains, poetry, quote, rainbow, spring, summer, sun, sunlight on January 21, 2014 by littledragonblue. I’m interested in the idea of dimensionality. 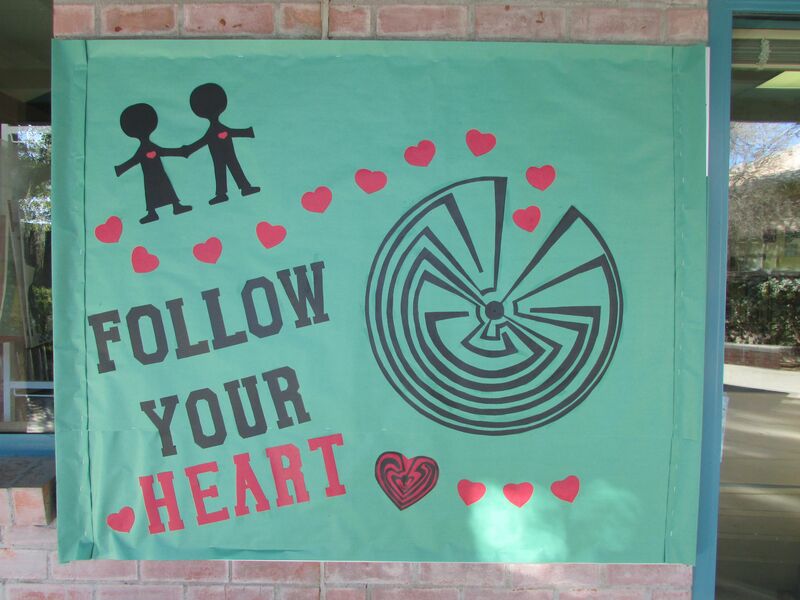 Some of the previous bulletin boards used layers to create depth, but I experiment with other methods of making the images pop. For this tree, I actually constructed a number of little books and then attached them at various angles to showcase the third dimension. Here, I used multiple layers and curled the edges of the flower using the blade of a pair of scissors to create the 3D effect. 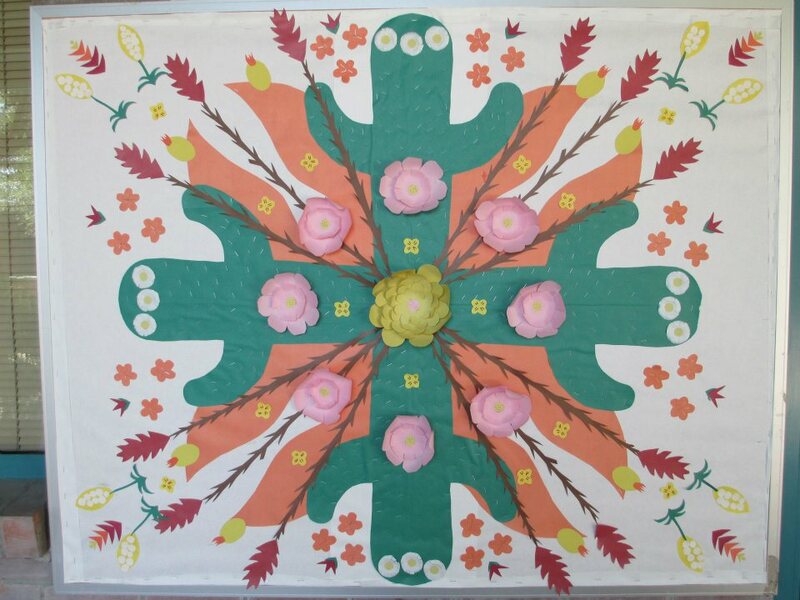 The species represented in this image include saguaro, prickly pear, ocotillo, palo verde, yucca, fishhook barrel, cholla, and bird of paradise. It’s always a challenge to create holiday bulletin boards that reflect our local culture while remaining nondenominational. 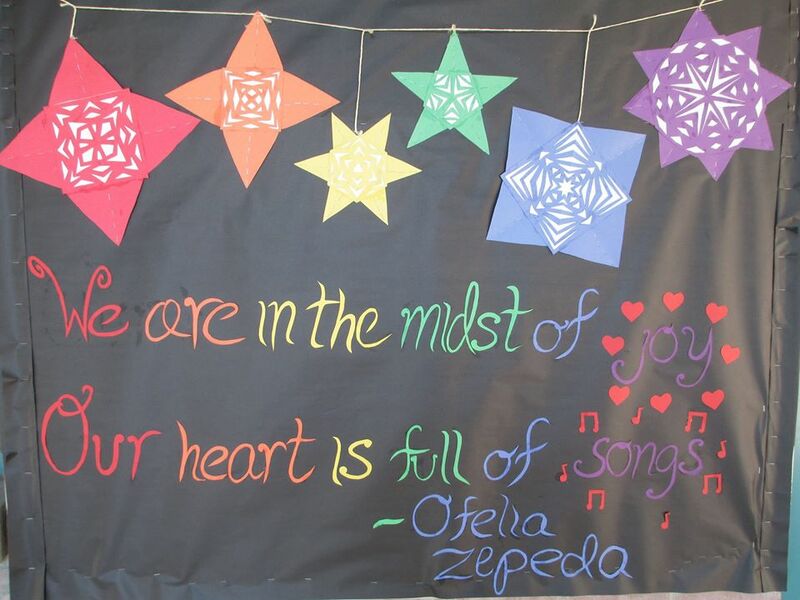 Winter 2013, Another Ofelia Zepeda quote, paired with my take on the beautiful Mexican tin lanterns. I used layers and string for dimensionality here. 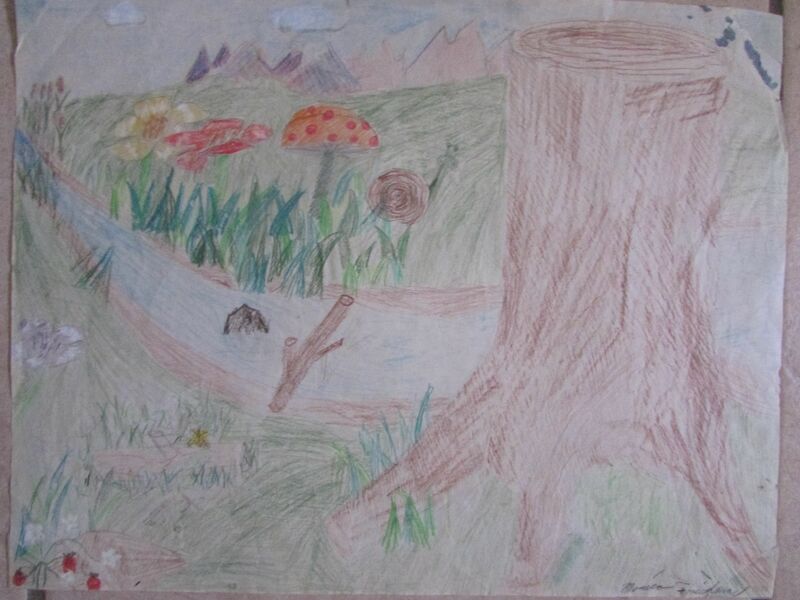 This entry was posted in Bulletin Boards and tagged 3d, art, books, colorful, cut, holiday, paper, poetry, spring, summer, tree, winter on January 14, 2014 by littledragonblue. Winter 2013. 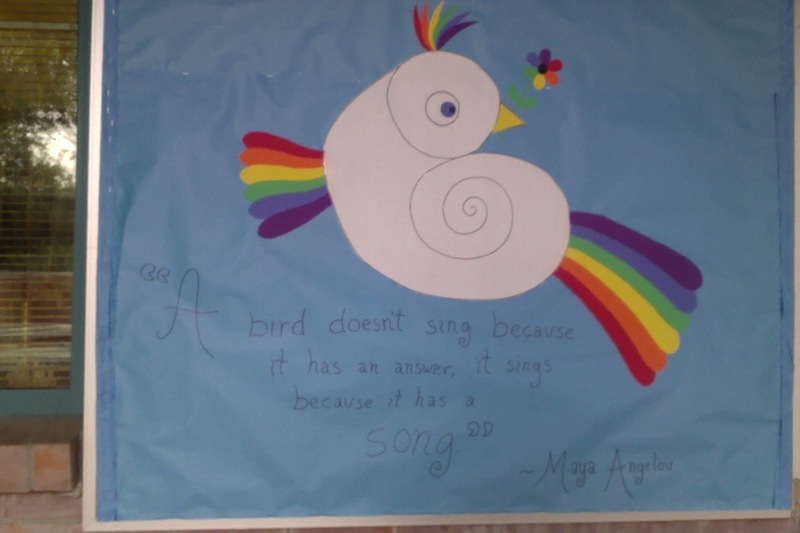 I had the idea for the bird first and found the Maya Angelou quote after I did the image. 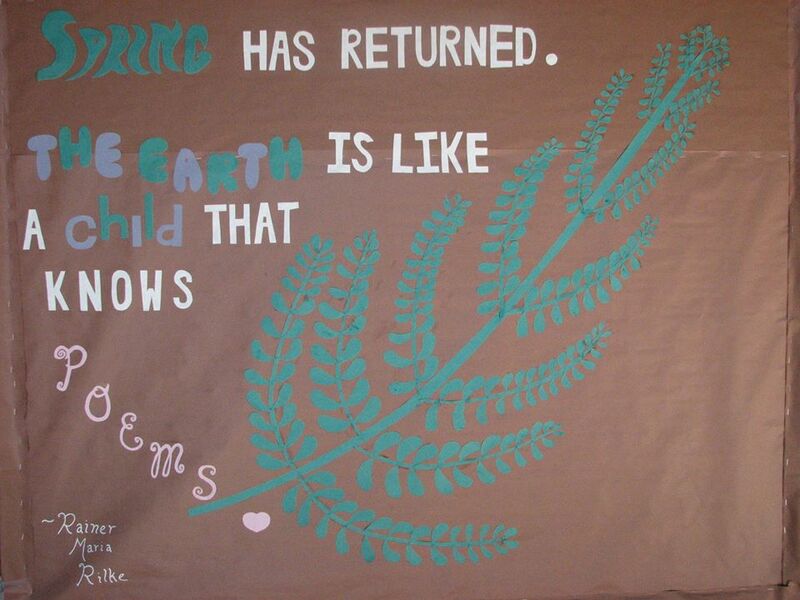 For the last four or five years, this bulletin board has been my baby. While the wind has, on more than one occasion, ripped my work from the wall, while a PTA mom has, on more than one occasion, tried to hijack my real estate with badly rendered licensed characters, this space, where I create ephemeral works of art for children, is regarded as mine, and most staff and students seem interested in seeing what comes next. Winter 2011, One of my favorites. 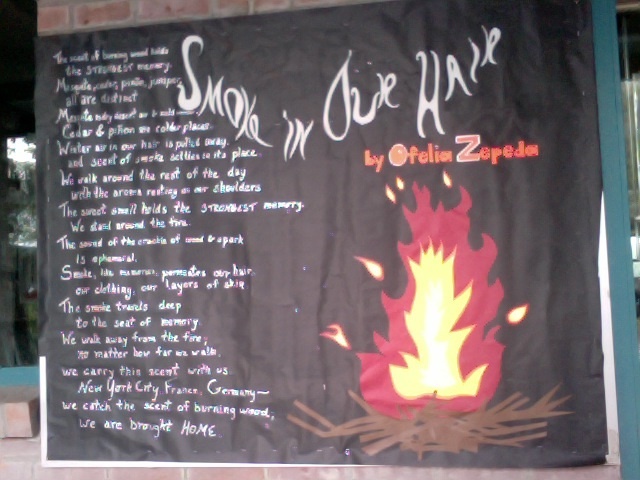 The poem is by a local poet called Ofelia Zepeda. At the time, my husband worked at the same university where she teaches and, unbeknownst to me, forwarded her this image! 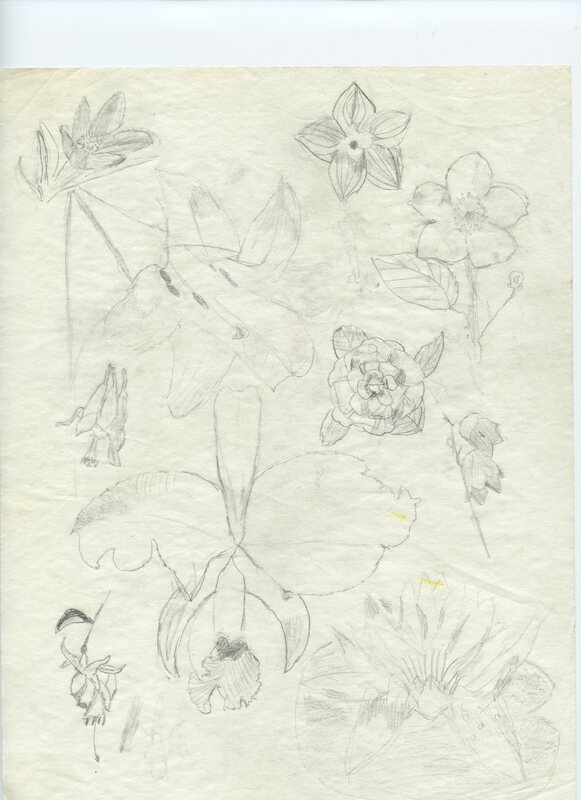 She wrote back that she found it beautiful. I was a little embarrassed, but 2 years later when I happened to meet Ofelia Zepeda at the Tucson Festival of Books, I was glad to have a funny story to share with her. I work almost entirely in cut colored paper, either the butcher type paper that comes in a long roll, or sturdy sheets of construction paper, using rubber cement and staples. Periodically, the work requires other elements (paint pens, string), but generally it’s just the paper, the glue, and the staples. Since these murals are exposed to the elements, the colors fade quickly and need replacement every six or eight weeks. All the letters are hand-drawn and hand-cut. Some of the fonts come from books, others from my own mind. 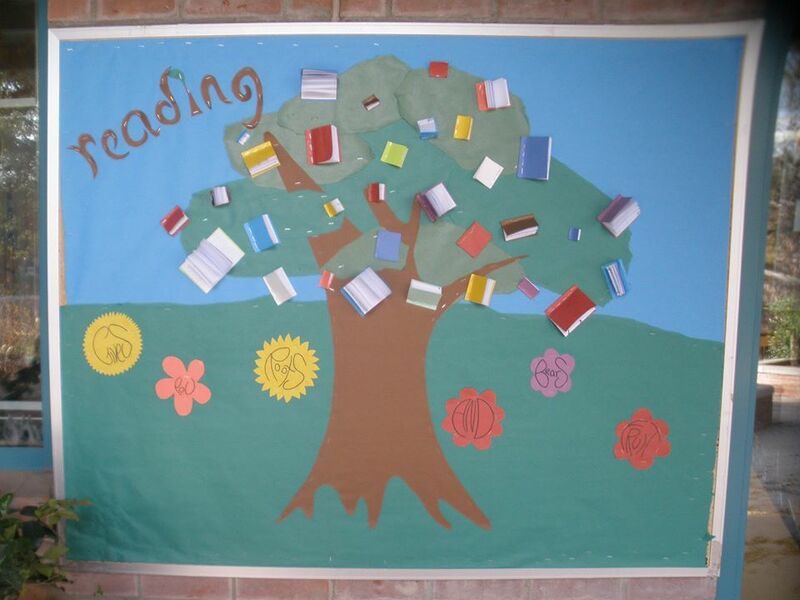 Most bulletin boards take around six or eight hours to complete. The most complicated one (the Tohono O’odham Man in the Maze) took about fourteen hours. This entry was posted in Bulletin Boards and tagged bird, fire, fonts, maya angelou, maze, ofelia zepeda, poetry, rainbow, smoke, tohono o'odham on January 10, 2014 by littledragonblue. 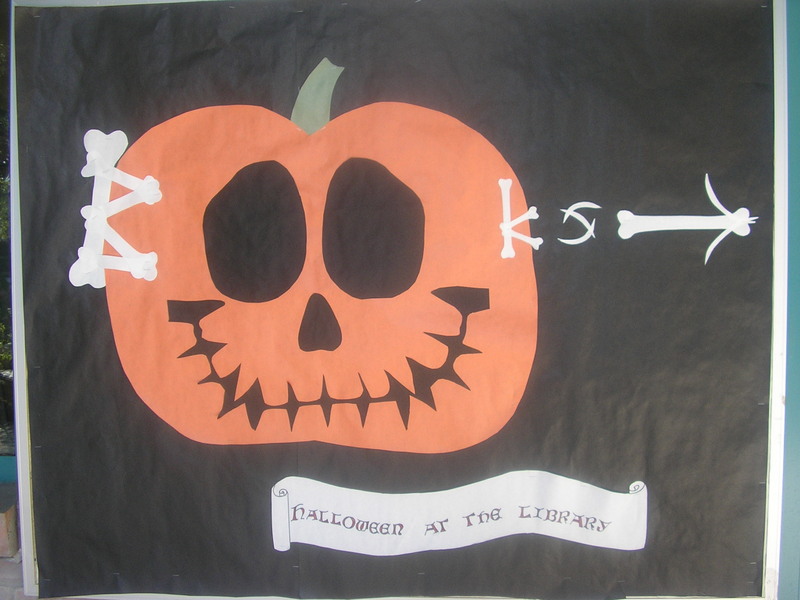 My first completed bulletin board, Halloween 2009. I made up the bone letters. The other font came from a book in the library’s collection. There’s a bulletin board outside the elementary school library where I volunteer, a scabrous, peeling wreck of old cork, exposed to the elements (this is Arizona, where year-round outdoor living means we keep a lot of things outside that northerners would never consider subjecting to the wind and rain) but prominently positioned in a breezeway through which most students and teachers regularly pass. Winter, 2009 (I think). 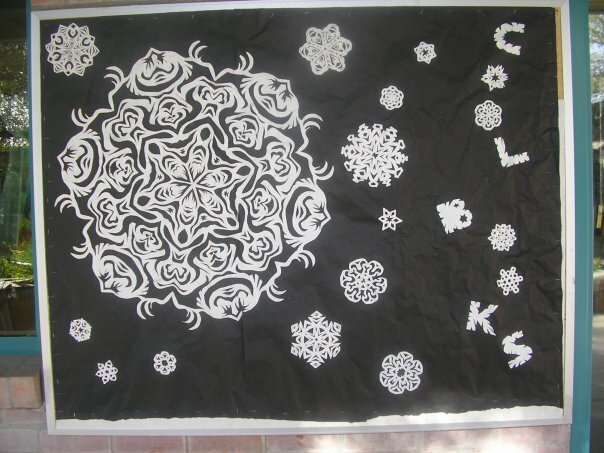 These snowflakes are all hand cut, of course. The big one was a lot of fun to cut, but not that easy to affix to the wall. Due to unconscionable budget inadequacies (this is Arizona, where certain people don’t understand the connection between funding education and creating a healthy and robust standard of living) I’ve held various degrees of responsibility in this library, including, for certain periods, being the only person to staff it in any way and basically completely in charge, with the principal’s blessing. Summer, 2010. Even though school’s not in session, I like to put something up for the kids and adult in camp and summer school on this campus. 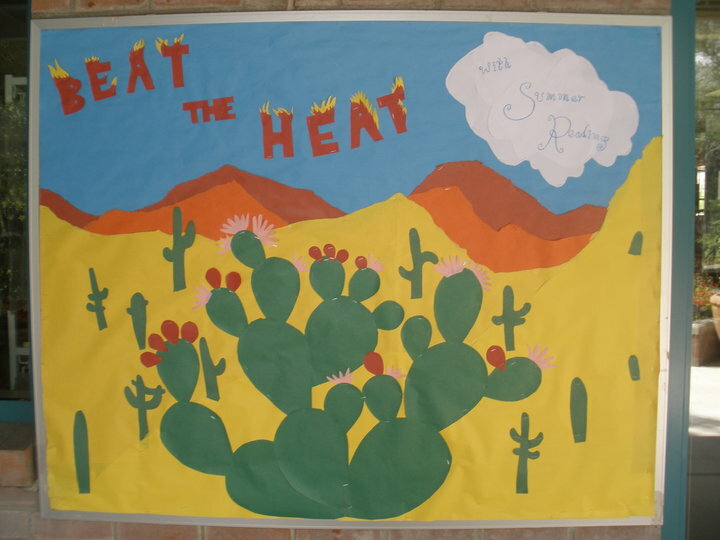 This entry was posted in Bulletin Boards and tagged art, cactus, desert, fonts, halloween, pumpkin, snowflake, summer, winter on January 6, 2014 by littledragonblue.